Aromatic, spicy and full of flavour. 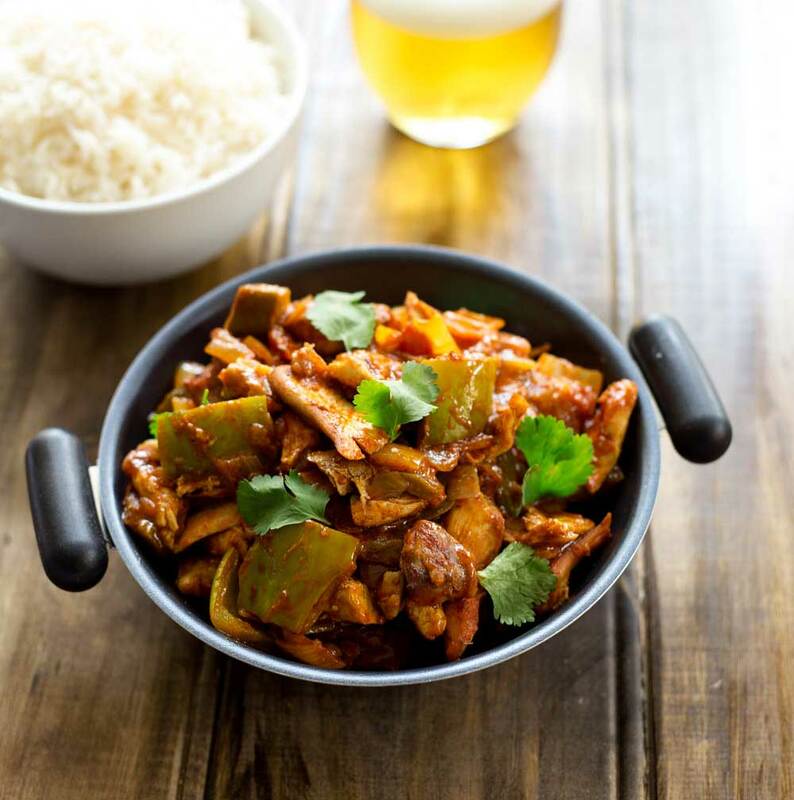 This chicken jalfrezi is worth staying in for! Crack open a beer, load up your plate and enjoy a homemade ‘takeaway’. Most of the recipes on this blog are family friendly. I feed my children the food I cook and, for the most part, they eat it. This recipe isn’t one of them. 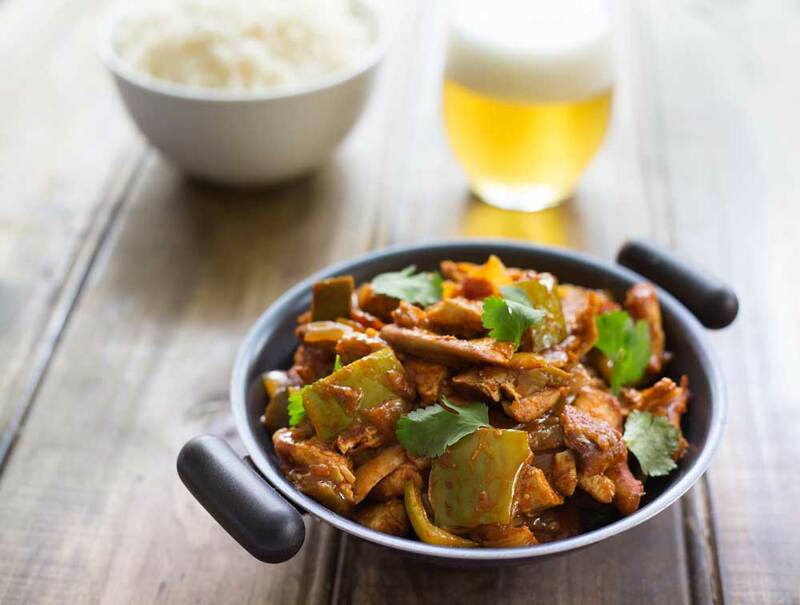 This is a spicy fiery curry that Stew and I enjoy when we eat dinner alone. When Mr 8 was born a dear friend brought me a food package, including a large tupperware of her Mother-in-law’s chicken jalfrezi. 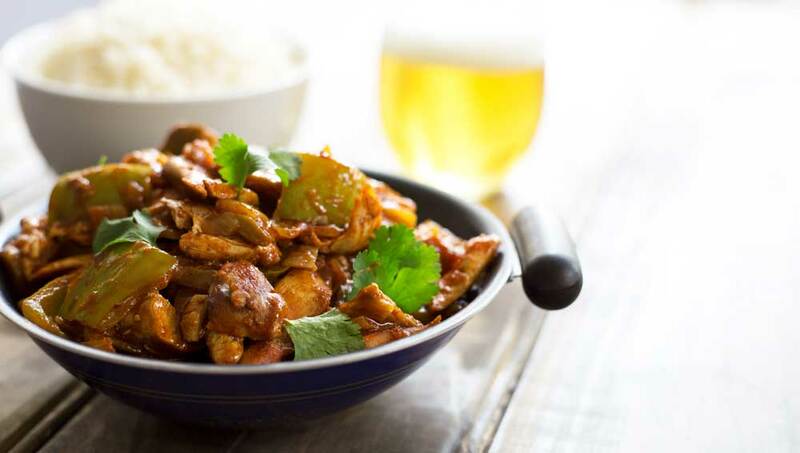 An amazing, spicy, rich and perfectly balanced curry. I was a new Mum, I had no idea what happened if you ate curry and then fed a baby. Trust me that is something I will never forget!!!! Even that didn’t put me off. I pestered and pestered until she got me the recipe. 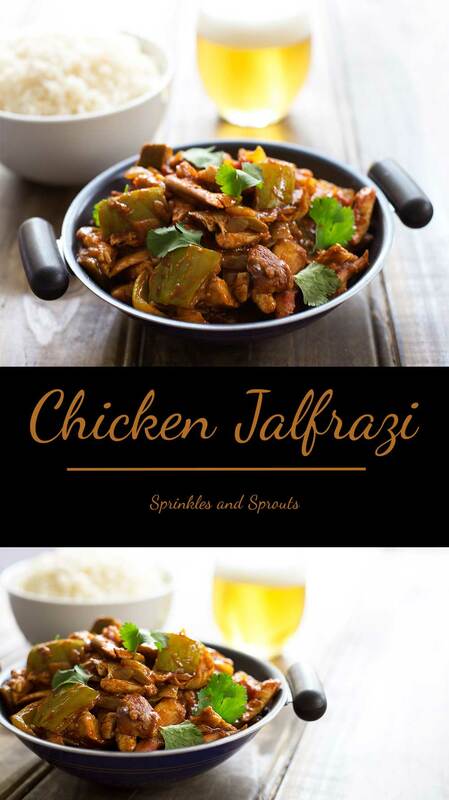 Chicken Jalfrezi a fresh, zesty spicy curry packed with fresh tomatoes, green peppers, green chillies, onions, herbs and spices. Crack open a beer and enjoy a homemade 'takeaway'. Peel the garlic and ginger. Chop the heads off the green chillies. Add them to a mini food processor along with the mustard seeds, coriander stalks and root, vegetable oil and tomato paste. Whizz the mixture until it is smooth. Add the dry spices and whizz again until you have a thick paste. Core and then finely chop the tomatoes and set to one side. Once the oil and butter is sizzling, add the chicken and cook for 5 minutes until the chicken starts to colour. Tip the jalfrezi paste into the pan, stir well to coat all the chicken. Add the water and lemon juice, then turn the heat down and cook gently for 20 minutes. Stir frequently and add more water if the sauce starts to stick. Add the tomatoes to the pan, bring everything back to the boil, then place the curry on the lowest heat and cook for 20-25 minutes. Stir the curry every few minutes and add extra water if it is starting to stick or dry out too quickly. Check the seasoning and serve with a swirl of yoghurt and some fresh coriander. Ooh, this sounds delicious. 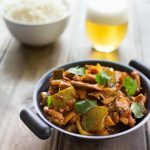 My boyfriend loves curry, think I will make this at the weekend. Thanks for the recipe! I would love for you to let me know!